Availability: Many of these campus jobs are not purely first-come, first-serve, but reserved largely for those who qualify for campus work via the Federal Work-Study program. This program is a function of federal financial aid and therefore available to those who have filled out their FAFSAs and qualified as “needy” (in limited cases the college may have arranged for some work-study opportunities with off-campus employers). If your college offers work-study financial aid it has been incentivized through subsidies to employ a certain number of students. Applicability: The work-study program also encourages schools to employ participating students in areas related to their field of study. Qualified students may find it fruitful to therefore apply for jobs that interest them and/or have bearing on their career goals. Flexibility: College life has its rhythms and cycles in complete distinction to those of the workaday world. 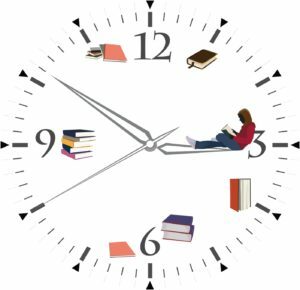 Students employed off-campus often find it hard to reconcile their week-to-week employment duties in times of breaks, new semester schedule changes, field trips and final exams. On-campus employers, themselves tied to the school, tend to sway more easily to these rhythms and give the student less headaches when it comes time to make adjustments. Aspiring student employees should also consider another unique angle to the college-provided job. As we discussed briefly elsewhere, colleges often provide free tuition to its full-time employees. While future students tend to think about full-time academics and part-time work, you may want to consider the possibility of full-time employment and part-time academics. Someone working as a night janitor or cafeteria employee in this case not only would have the income a job provides but a free education on top of it. On the whole the savings in payments may justify the later graduation.